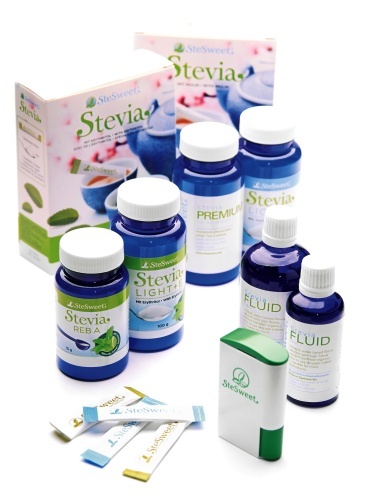 Stevia is a calorie-free sugar substitute and its sweetness is based on the honey plant, Stevia Rebaudiana Bertoni. Our products are available in serving sized sticks, tabs, granulated, pure powder and in liquid form For every applications we offer you the perfect product – tabs for tee and coffee, sticks for beverages of any kind and small meals like yogurt or cereal, granulated powder for cooking and baking and liquid for providing just the right amount of sweetness. distributors? We can inform you about local distributors or if you are interested in selling our products. Follow the link to contact us!